Waypoint Counter Surveillance Inc. is pleased to provide the following business news, company information and operational updates as we continually strive to improve, expand and refine our advanced and highly specialized products and services. For more information about the news and updates provided, please contact us. 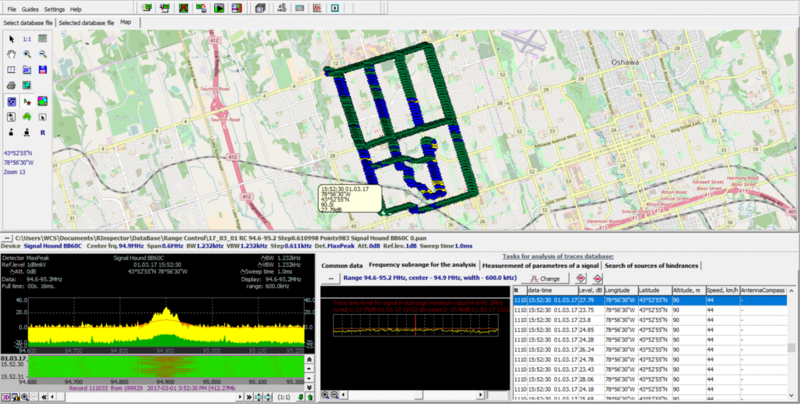 When analyzing IQ data in automated mode, for all detected signals across the spectrum, RadioInspector’s Signal Classification Analysis and Recognition System (SCARS) now provides the option to program specific frequency ranges for operator selected digital communication standards, significantly decreasing the time required for analysis. In manual mode, a new point and click operation has been implemented to streamline the digital testing of operator selected signals during live spectrum scanning. DSTAR, YAESU, ALINCO, NXDN and DPRM digital modes have now been added to RadioInspector's Signal Classification Analysis and Recognition System (SCARS), for operators using the AOR AR-DV1 receiver with the AOR DTEST-DV1 program option. 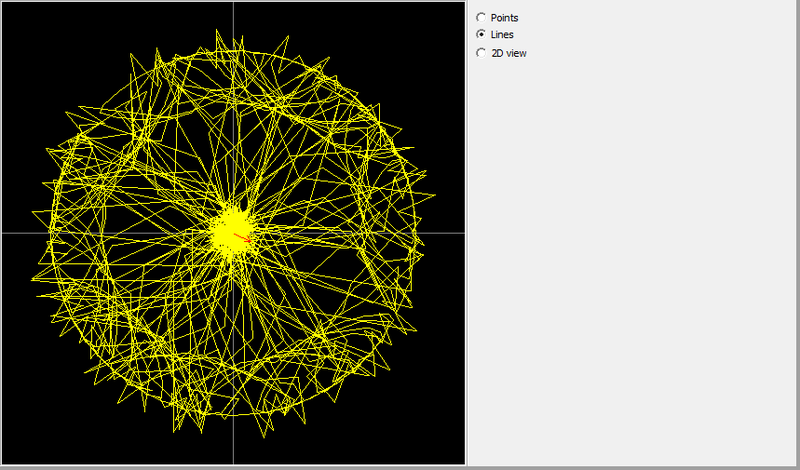 When performing digital signal processing in the RF signal analysis and performance measurement mode, a new 2D view constellation diagram option is now available to operators. The 2D view diagram enhances visualization and improves the quality of the display indicating changes in phase. All three constellation diagrams (points, lines and 2D view) also display arrows within the diagram, indicating the phase position at that specific moment, and the direction of movement. 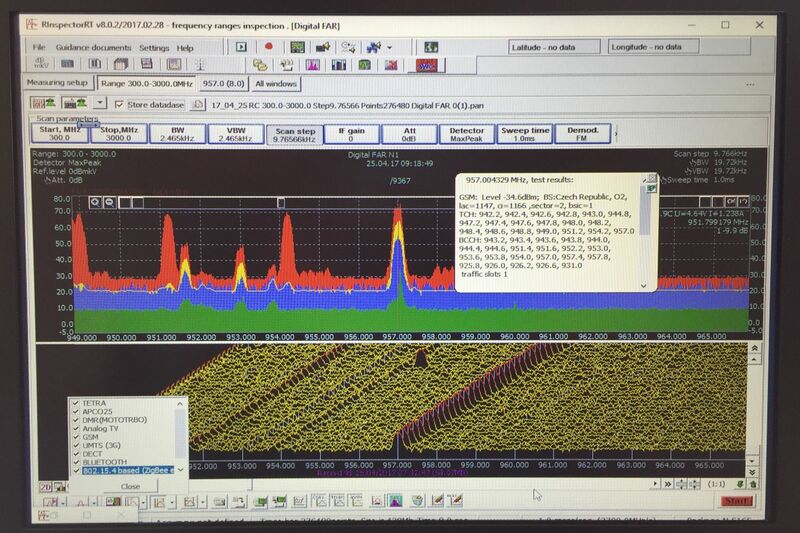 * RadioInspector provides advanced real-time digital signal processing and analysis, wide band IQ data stream capture and recording with post processing and analysis, audio demodulation and signal classification and recognition for an expanding list of supported digital communication standards. When using the Signal Hound BB60C, an IQ data stream with a selected bandwidth can be captured and recorded for a preset amount of time, with an individual file size of up to 640MB, and stored for post processing and analysis. A new option is now provided for the BB60C which allows the capture and recording of an IQ data stream with an operator selected bandwidth of up to 27MHz, with no preset restrictions on recording time, with an individual file size of up to 4.2GB. This new feature update was designed for use in SIGINT and COMINT applications and represents a substantial increase in IQ data recording capacity with the BB60C, and is provided for all RadioInspector customers that utilize this receiver. In order to take advantage of this capability, operators will require a laptop with an i7 processor and a solid state hard drive (SSD). The BB60C can now be used in combination with RadioInspector as a compact IQ data recording platform up to 6GHz. Recorded and stored IQ data can then be analyzed by a specialized third-party application or using RadioInspector’s sophisticated IQ_Process program. 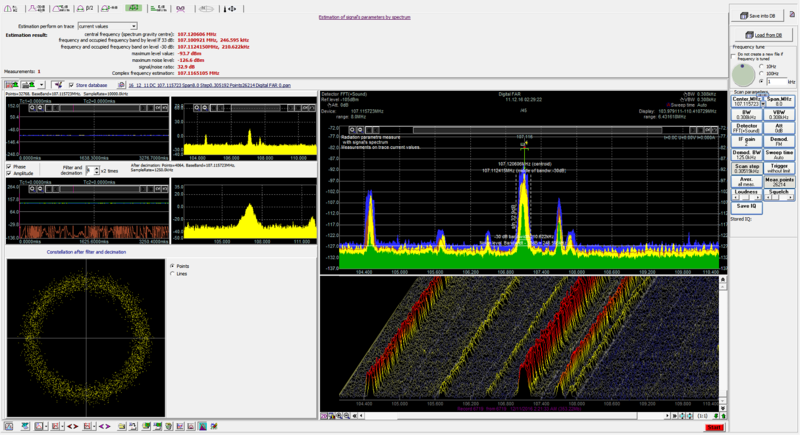 RadioInspector software now provides full support for the Signal Hound SM200A real-time spectrum analyzer and monitoring receiver. The SM200A features a frequency range of 100kHz to 20GHz, 160MHz of instantaneous bandwidth, 110 db of dynamic range, up to 1THz per second sweep speed at 30kHz RBW and calibrated streaming IQ with 5kHz to 40MHz of selectable IQ bandwidth. RadioInspector provides advanced capability for Signal Hound receivers and is able to take advantage of the SM200A’s increased levels of performance, providing scan speeds of 200GHz per second at just 10kHz RBW. 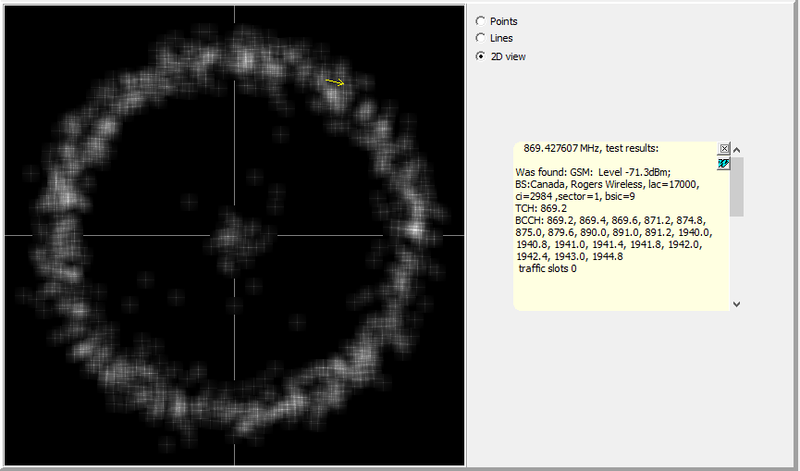 RadioInspector has also implemented an additional programming enhancement for the SM200A, resulting in a cleaner spectrum image for improved visual and technical analysis. The SM200A, together with RadioInspector's extensive list of advanced features and systems including digital processing and analysis with signal classification and recognition, sophisticated IQ data recording and analysis, complete spectrum data recording, storage, and post processing, performance signal parameter measurement, remote monitoring and geographic information support provides an exceptional, high performance spectrum monitoring and analysis system. * RadioInspector supports the largest and continually expanding list of more than 180 receivers, spectrum analyzers and SDR instruments from leading professional manufacturers world-wide, providing customers with the greatest deployment flexibility and the widest range of advanced RF spectrum monitoring and analysis solutions for both current and future requirements. After several months of development, we are nearing the release of the latest RadioInspector software program. This version release provides significant updates and includes new software features, improved IQ data collection and digital analysis capability along with enhancements to remote spectrum monitoring. As part of this software update, we will also be introducing a new advanced digital analysis program and new hardware receiver support. Further product development has also been underway and will provide additional systems, capabilities and hardware support scheduled for completion in 2019. * RadioInspector provides advanced, comprehensive industry leading radio frequency spectrum analysis, data recording, storage, post processing and data management capability for Technical Surveillance Countermeasures (TSCM), SIGINT, local and remote spectrum monitoring, surveillance, telecommunications and spectrum management applications. RadioInspector delivers powerful cost effective solutions while offering high performance, stability and efficiency, customized to specific individual requirements with sophisticated capabilities and functionality not available with other applications. RadioInspector supports the largest and continually expanding list of more than 180 receivers, spectrum analyzers and SDR instruments from leading professional manufacturers world-wide, providing customers with the greatest deployment flexibility and the widest variety of advanced solutions for both current and future requirements. We are pleased to announce the addition of Charles (Chuck) Doubrough to the Waypoint Counter Surveillance team. With business expansion over the past year and increased customer demand, Chuck has taken on the position of Covert Operations Product Support Specialist, and will provide technical and training support for covert operations equipment and systems to government and law enforcement customers across Canada. Chuck retired from the Ontario Provincial Police in 2013 as a Detective Constable. Of his 30 years of service, 28 were spent in various functions within Technical Support, including 20 years in the Lock and Alarm field in the Operations and Security Unit, planning and executing covert entries under court authorization, six years in the Video and Photographic Surveillance unit and two years in the Installation Unit, where he specialized in tracking and covert audio interception. Chuck also performed Technical Surveillance Countermeasures (TSCM) services with the Ontario Provincial police, and brings a wealth of knowledge from prior working experience which included designing specialized electronic equipment, primarily for the Canadian government, and communication systems for law enforcement. * Waypoint Counter Surveillance provides government, military and law enforcement organizations with a wide variety of sophisticated equipment, software and systems for advanced Technical Surveillance Countermeasures (TSCM), SIGINT, local and remote spectrum monitoring and analysis, surveillance, covert operations and Intelligence applications. RadioInspector now provides support for the AOR AR-DV1 Digital Voice Receiver. The AR-DV1 receives and decodes digital modes including MOTOTRBO, DMR, DPMR, APCO 25, NXDN, D-STAR, DIGITAL CR, YAESU and ALINCO EJ047U as well as analogue signals including AM, wide and narrow FM, upper and lower side band and CW. In addition, a newly developed AOR-DTest-DV1 option has been designed specifically for use with the AR-DV1 and can be included with the RadioInspector RT-Light software package. The AOR-DTest-DV1 program provides digital signal analysis capabilities for the digital standards supported by the AR-DV1. The AR-DV1 can be used as the primary scanning receiver with RadioInspector or as a secondary receiver for audio hand-off applications, providing increased audio demodulation capability. * RadioInspector supports the largest and continually expanding list of 154 receivers, spectrum analyzers and SDR instruments from leading professional manufacturers world-wide, providing customers with the greatest deployment flexibility and the widest range of advanced RF spectrum monitoring and analysis solutions for both current and future requirements. 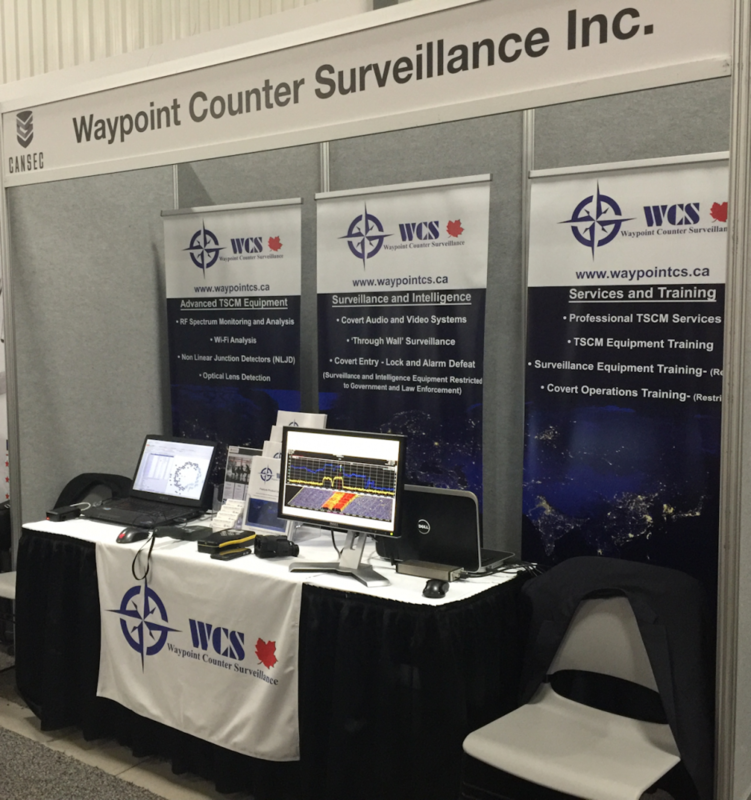 Waypoint Counter Surveillance was pleased to have exhibited at the Canadian Association of Defence and Security Industries CANSEC 2018 trade show, and we would like to thank all those who took the time to visit our booth. CANSEC is Canada’s premier global defence and security event for leading-edge technology, products and services for land-based, naval, aerospace and joint forces military units. Culminating in a highly successful exhibition, the event began with a large flow of visitors and extensive activity at our booth, which continued into the second day of the show. 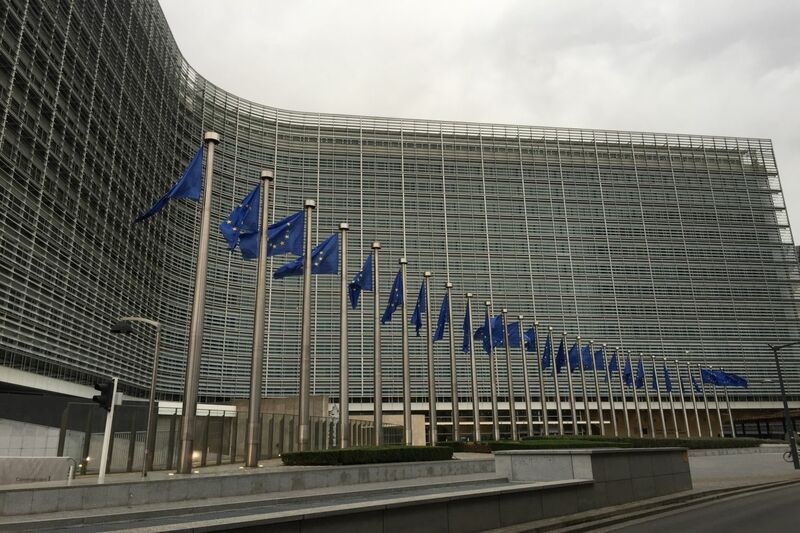 We engaged in lengthy discussions with government intelligence and military personnel on a variety of topics and requirements. Our featured TSCM and covert operations products, tactical systems and training drew strong interest. 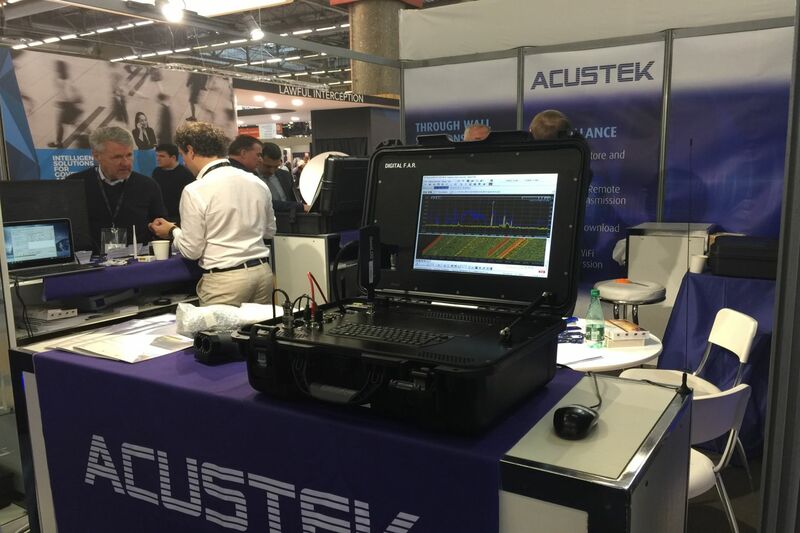 Demonstrations of RadioInspector TSCM / SIGINT software and the Wi-Fi Inspector system with a vast array of leading sophisticated features, capabilities and level of innovation were highlights of the event. Extensive receiver support and deployment capability also proved to be a point of interest with software and system integrators. The latest Digital signal processing and analysis with signal classification and recognition, extensive spectrum and IQ data recording and post analysis, automatic task scheduling and system operation with autonomous data collection, simultaneous multiple receiver operation and geographic information support were just some of the capabilities shown and discussed with visitors. 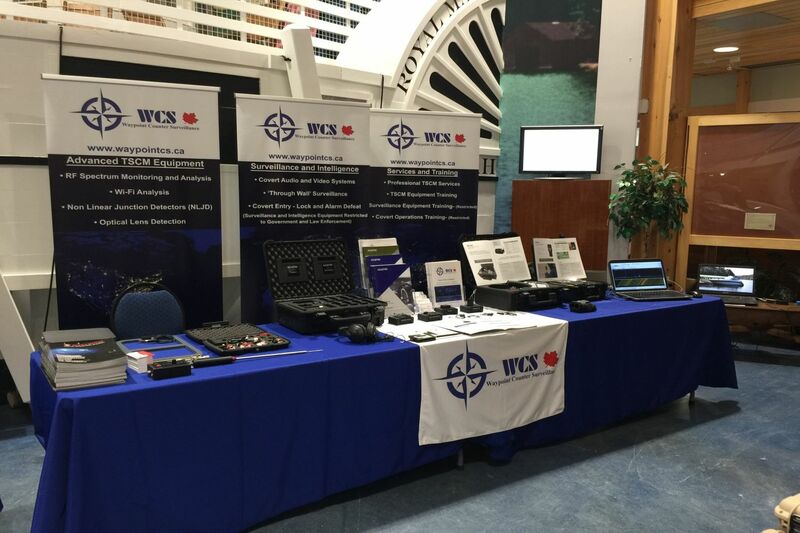 Following CANSEC 2018, we were pleased to have been invited to exhibit at a closed Canadian Police conference. Partners from Canada, Ireland and The Netherlands joined us to showcase a variety of covert operations equipment, systems and training options to law enforcement personnel from across Canada. TSCM equipment including RadioInspector software and Wi-Fi Inspector systems were also on display with demonstrations provided. Waypoint Counter Surveillance Inc. is pleased to announce an exclusive authorized distribution agreement to represent SECUPRO Government covert operations equipment and training in Canada. SECUPRO is a respected organization located in the Netherlands and have been providing highly specialized covert operations equipment and training to government and law enforcement agencies world-wide since 2001. Secupro provides expertise in high end tracking & monitoring, audio and video deployment training, installation and surveillance techniques, destructive and non-destructive covert operations solutions and specializes in project based training. The covert operations center is a multilevel training facility with teaching/lecture, project and practical exercise areas. * Due to the nature of Secupro equipment and training, information is located in the Restricted Equipment Section of our web site. Access to this section requires authorization and is available to government and law enforcement personnel only. 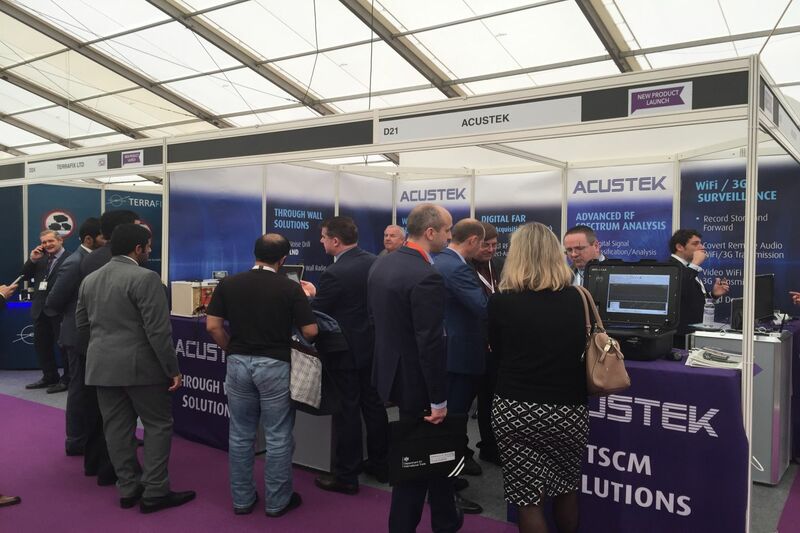 Security and Policing 2018, March 6 - 8 Farnborough U.K.
Waypoint Counter Surveillance was pleased to have exhibited with Partners Acustek Ltd. during Security and Policing 2018 at the Farnborough Exhibition and Conference Centre in Hampshire. 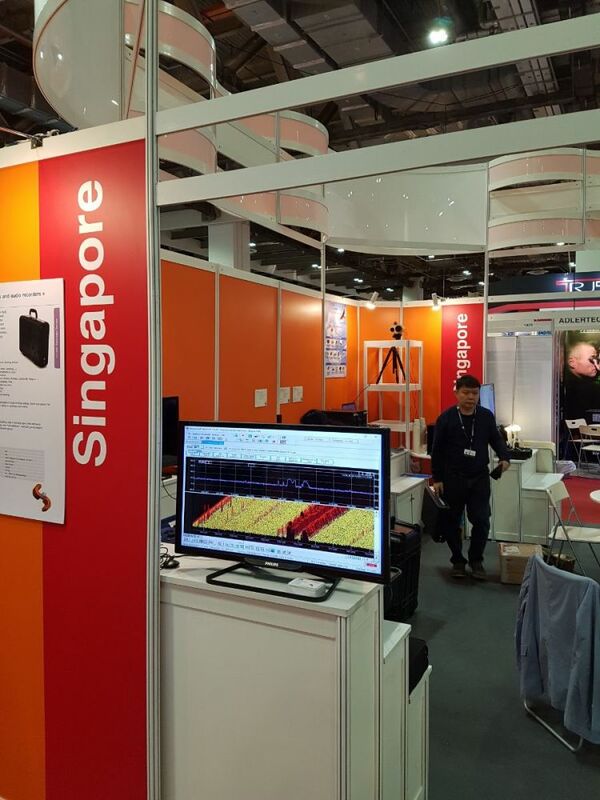 Demonstrations of the industry leading spectrum monitoring and analysis software application RadioInspector and Wi-Fi Inspector were performed with the Digital FAR system. Also featured were a variety of TSCM, "through wall" surveillance and covert intelligence systems. Equipment demonstrations were also provided during GPEC 2018 International Exhibition & Conference for Law Enforcement and Homeland Security, February 20 - 22, 2018 in Frankfurt am Main, Germany. 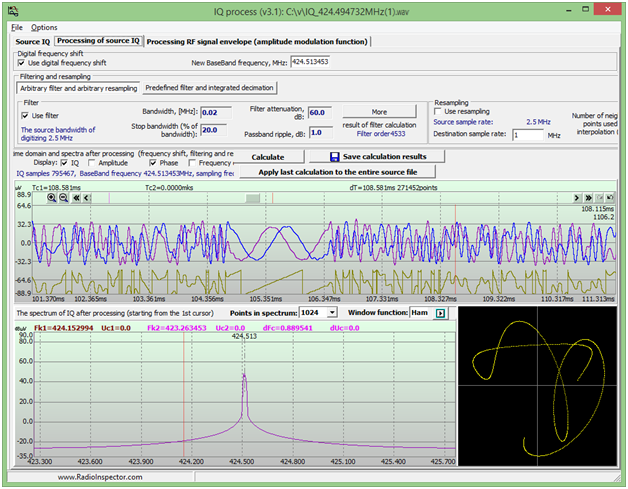 RadioInspector now provides full support for the Tektronix RSA306B USB spectrum analyzer. The RSA306B is cost effective, light weight, compact and robust with a frequency range of 9kHz to 6.2GHz and an instantaneous bandwidth of 40MHz. 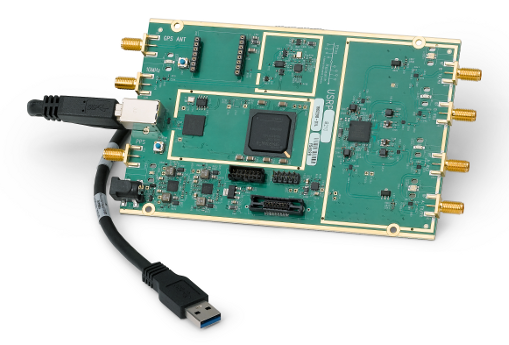 RadioInspector's advanced leading features including the DTest program (digital signal analysis) and the signal classification analysis and recognition system (SCARS) provide the RSA306B with increased capability for TSCM, RF spectrum monitoring, data collection and analysis applications. RadioInspector also provides support including the DTest program (digital signal analysis) for the Ettus Research USRP B200 single channel transceiver and USRP B210 dual channel transceiver. Both the B200 and B210 are lost cost with a frequency range of 70MHz to 6GHz and up to 56MHz of real time bandwidth. * RadioInspector supports the largest and continually expanding list of 153 receivers, spectrum analyzers and SDR instruments from leading professional manufacturers world-wide, providing customers with the greatest deployment flexibility and the widest range of advanced RF spectrum monitoring and analysis solutions for both current and future requirements. 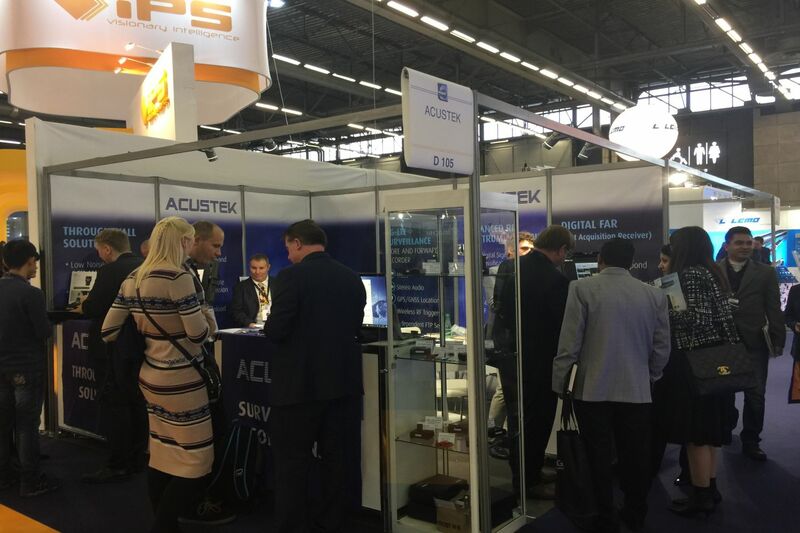 was pleased to have taken part in the Milipol 2017 exhibition and conference with partners Acustek Ltd. and we would like to thank all those who took the time to visit us during the 4 day event. Demonstrations of RadioInspector and Wi-Fi Inspector with the Digital FAR system, highlighted the latest advanced features and enhancements introduced during the year. We were also pleased to be able to preview several upcoming software additions and hardware updates for the first time, which drew immediate interest. With an expanding international customer base, many visitors quickly recognize RadioInspector's leading, next generation spectrum monitoring and analysis capability, providing a powerful combination of extensive signal detection, identification, digital and precision technical analysis features with comprehensive data recording, post processing and data management. Our booth was once again located in the information, communications and cyber security technologies area alongside other TSCM equipment and receiver hardware manufacturers. We experienced long stretches of continuous visitor traffic, with many making return visits during the event to discuss a wide range of technical and operational requirements. Our experienced international team, including TSCM Specialists, equipment developers, former law enforcement and military personnel from Canada, The United States, Ireland, Great Britain, Italy and The Czech Republic assisted customers throughout the show, with demonstrations of TSCM and intelligence related equipment on display. We also welcomed 27 year Ontario Provincial Police Technical Services veteran Al Doubrough to our team for the first time at Milipol. Al was exceptionally well received by government and law enforcement personnel, identifying directly with their requirements and specific field applications. * Following the Milipol exhibition, a series of meetings over several days were held with partners and customers covering new projects, product development and training initiatives. RadioInspector has increased its data recording, storage and analysis capability. For each signal that exceeds and operator determined threshold, including the unique Dynamic Threshold, operators can now select the number of spectrum scans both prior to and after each signal detection event with a predetermined bandwidth, for recording and storage in separate files. Each signal breaking a predetermined threshold is added to the list of detected signals with spectrum graph for review and operators can select automatic audio recording, signal classification and recognition testing and recently announced separate IQ data recording. Now, data for each individual signal detection, including operator selected pre and post event data, is saved as a separate scan file and can be analyzed with the same tools as full recorded spectrum sweeps with the RadioInspector RP post processing program. 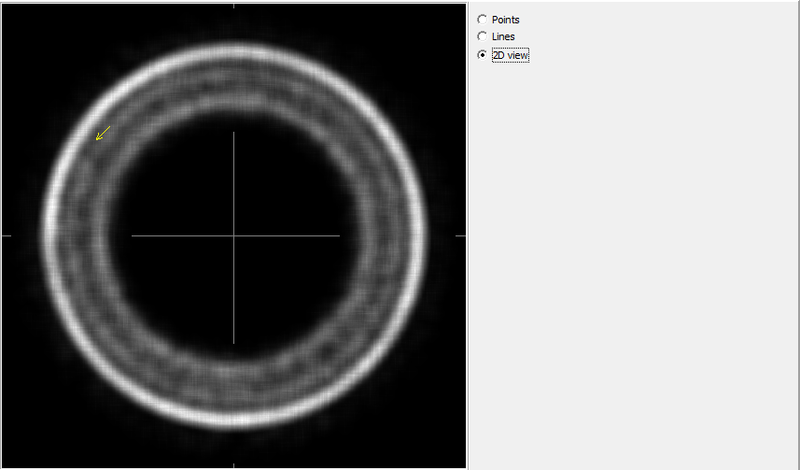 This includes file playback at user selected speeds (forward or reverse) with 2D and 3D waterfall spectrograms. Each sweep measurement within the recorded signal file is displayed with the date/time, maximum db level and (if a GPS receiver was used during data collection) the longitude, latitude, altitude, speed (if mobile) and antenna compass information. The signal time-level trace can be displayed and played back, and full parameter measurements can be performed on current, maximum or average values including field strength, occupied frequency bandwidth and frequency of employment. Harmonic and interpolation analysis can also be performed to identify sources of interference. Once a signal file has been recorded it can be displayed. When selecting the file, operators can choose to center the signal frequency with selected bandwidth in a new window for monitoring and further data collection, or immediately open the file with RadioInspector RP to begin post analysis. As with full spectrum sweeps, post analysis measurement results for each detected signal file can be saved into RadioInspector’s database and any portion of the file can be isolated and re-saved as a new file. This new ability to save and store separate individual detected signal files with pre detection and post detection data provides even greater, advanced capability for all spectrum analysis applications. * RadioInspector provides advanced, comprehensive industry leading radio frequency spectrum analysis, data recording, storage, post processing and data management capability for Technical Surveillance Countermeasures (TSCM), SIGINT, local and remote spectrum monitoring, surveillance, telecommunications and spectrum management applications. RadioInspector delivers powerful cost effective solutions while offering high performance, stability and efficiency, customized to specific individual requirements with sophisticated capabilities and functionality not available with other applications. RadioInspector supports the largest and continually expanding list of more than 150 receivers, spectrum analyzers and SDR instruments from leading professional manufacturers world-wide, providing customers with the greatest deployment flexibility and the widest variety of advanced solutions for both current and future requirements. We recently completed our latest trip to Europe to meet with customers as well as to provide TSCM equipment operator training that featured RadioInspector and Wi-Fi Inspector, with classroom and practical exercise sessions. During our 10 day trip we provided customer demonstrations of the latest advanced RadioInspector software features, with discussions surrounding RF anaylsis systems, receiver capabilities, remote monitoring applications and upcoming receiver support. RadioInspector is now utilized in many countries across Europe, in a variety of applications and environments. 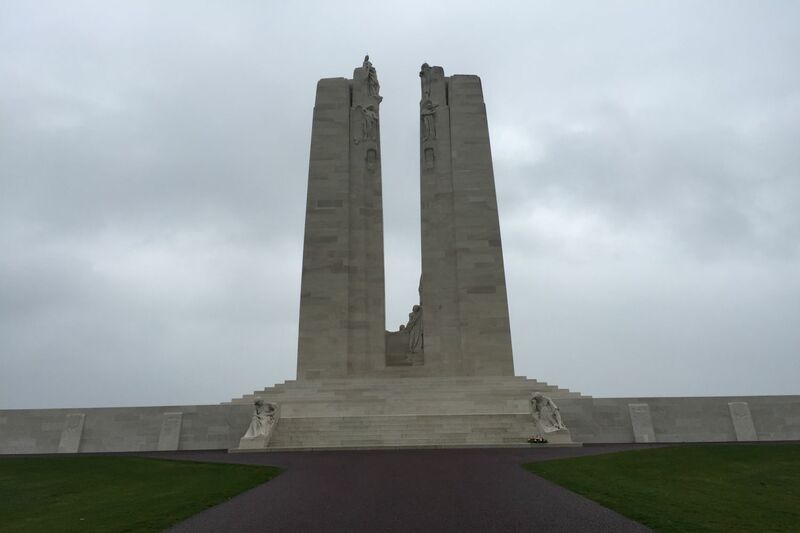 With Remembrance Day approaching and to commemorate the recent 100th anniversary of The Battle of Vimy Ridge, we took a few days between training and meetings to visit Ypres and the surrounding area in Belgium, and then into France to visit the Canadian National Vimy Memorial. * Waypoint Counter Surveillance provides government and law enforcement organizations world-wide with sophisticated equipment, software and systems for advanced Technical Surveillance Countermeasures (TSCM), SIGINT, local and remote spectrum monitoring, telecommunications, spectrum management, surveillance and Intelligence applications. 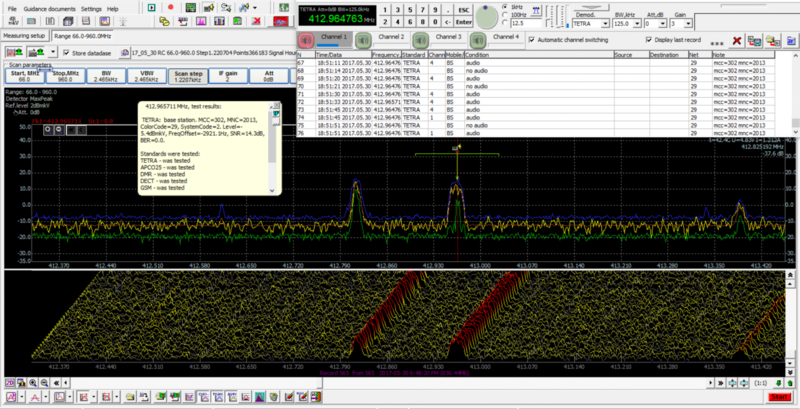 RadioInspector software provides the ability to connect to multiple receivers simultaneously through a single application. From the measuring setup window, operators can connect additional receivers from the more than 150 supported instruments, by direct connection, remote connection or a combination of both. Receivers are monitored in separate windows with all data streamed directly to the connected computer via RadioInspector’s proprietary ‘I_Master Device’ program. Data from each receiver is saved in separate, individual files to the RadioInspector database for recall and post analysis. * Files can be located for post analysis with RadioInspector RP using individual file names or with search filters including date and time, frequency or frequency band and receiver model. Multiple connections provide the ability to task different receivers to monitor separate frequency bands, perform discrete frequency monitoring and analysis, RF performance parameter measurements or IQ analysis. Receiver data collection points can form 'RadioInspector Networks' locally or internationally and be monitored individually, in groups or all at the same time. The number of receivers that can be effectively monitored at one time with a single computer will be dependent on available memory and processing resources. However, RadioInspector has been designed with no limits as to the number of receiver connections that can be made. This provides government and law enforcement organizations with the flexibility to use the amount of resources they choose for any level of monitoring complexity. 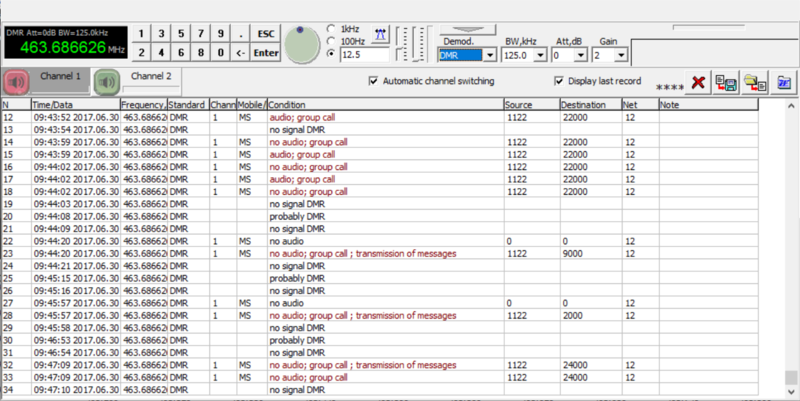 RadioInspector’s stand-alone I_Remote Check program further compliments this capability by providing the option to monitor any number of receivers within the same network simultaneously for signals that break operator determined thresholds. In this case data is recorded and stored on each local computer. When using the I_Remote check program, the location of each receiver can be displayed on an uploaded floor plan or geographic map with live, active status icons, audible alarms and individually viewable detected signal lists. RadioInspector now provides the ability to automatically record and store IQ data for signals that break an operator determined threshold, including RadioInspector’s unique, first of its kind dynamic threshold. Operators can enter a sampling rate (kHz) and recording length for each detected signal. Stored IQ data files can then be loaded at any time for post processing and analysis or export as required. This latest feature adds to RadioInspector’s unique, multi layered IQ capability which includes the Signal Classification Analysis and Recognition sub-system (SCARS) and DTEST (Digital Test) program providing advanced, in depth analysis of streaming IQ data for supported critical digital communication standards. RadioInspector’s RF analysis and performance measurement sub-system provides live IQ digital processing for up to 8MHz of selected bandwidth with phase and amplitude analysis, filtering and decimation and constellation diagram. IQ data can also be manually recorded during live spectrum scanning with an operator selected recording length for any chosen signal or bandwidth (up to the IF bandwidth of the receiver). When a wide bandwidth is recorded, individual signals or any portion of the recorded IQ data can be isolated and saved as a new file. Recorded IQ data files are processed by the sophisticated stand-alone IQ process program, which was recently enhanced to provide the ability to process IQ data files of any size and includes a new scatter plot diagram display. The ongoing development of RadioInspector’s class leading IQ data recording and analysis provides operators with the ability to utilize current advanced receiver capability but also upcoming improved receiver hardware and computer performance as it is introduced into the market space. Enhanced Digital Demodulators for Apco25, DMR and TETRA Communication Standards. RadioInspector has enhanced the digital demodulators for Apco25, DMR / MOTOTRBO and TETRA communication standards, to improve analysis capability during on-site or remote monitoring and spectrum surveillance applications. RadioInspector’s Digital Test (DTest) program capabilities provide audio demodulation for Apco25, DMR and TETRA signals (where encryption is not used). Now a variety of additional information is provided and displayed, where applicable, in the audio tuner and demodulation window including the date and time, frequency, communication standard identified, channel number, mobile or base station identification, condition (presence of audio, open channel, inactive channel, text / message transmission, private or group call etc. ), source and destination identification, network color code, mobile country code (mcc) and mobile network code (mnc). For DMR (2 channels) and TETRA (4 channels) the operator can select a channel manually for monitoring and analysis or set the system for automatic channel switching. RadioInspector can also be programmed to analyze, classify and automatically record audio for APCO25, DMR and TETRA signals that break an operator determined threshold. Programmed settings include adjusting the recording quality (sample rates Hz) and recording duration. The operator can also analyze signals manually by selecting a signal of interest from the main scanning GUI. The information displayed for each signal in the audio tuner and demodulation window can be saved and stored to individual files and re-loaded at any time for display. The information and can also be sent to a Microsoft Word document for print out and reporting applications. RadioInspector now includes a new tablet mode setting for use with the RadioInspector RT/RC main scanning and analysis programs as well as the RadioInspector RP post processing and analysis program. The setting enlarges the GUI control buttons for the Geographic Information Support system as well as on the lower settings and analysis control tool bar. The larger buttons and icons provide a more comfortable visual experience and easier operational control when using tablet computers, 2-in-1 systems or laptops with smaller screen sizes. Tablet or 2-in-1 computer platforms, properly configured for use with selected portable receiver hardware, can be utilized for advanced mobile or 'walk around' RF data collection and analysis, transmitter search and location, in-field interference analysis and for amplitude direction finding capability. Operators can take full advantage of RadioInspector’s advanced features during mobile field operations including performance signal parameter measurements, harmonic and interpolation analysis, discrete frequency inspection capability, digital signal processing, complete IQ capture with post processing and geographic information support system. Spectrum data collected is automatically written to storage and available immediately for post analysis on the tablet computer, if required. 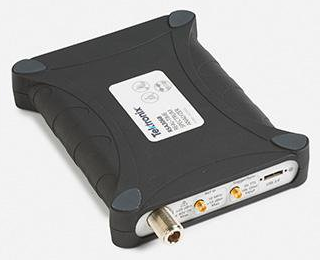 The compact Wi-Fi Inspector receiver module can also be used with a tablet or 2-in-1 computer for a portable hand held Wi-Fi detection, analysis and location system in support of TSCM, cyber security and network analysis applications. Summer 2017 has been a very busy time and we were pleased to have had RadioInspector demonstrations provided with the Digital FAR System with Partners Acustek Ltd. and S.E.G. Inc., at the NATIA Conference and Exhibition in Tampa, Florida. The latest RadioInspector software updates provide a range of new advanced features and program enhancements. Many changes have been made to the software programming in support of the new features during this important update cycle and announcements are now set to begin. Previous new feature additions for 2017 include extended reference trace options, user defined spectrum masks, updated post processing for recorded IQ data files, new advanced geographic information support system utilizing Open Street Maps with automatic digital map caching for offline use, recording and storage of geospatial data, mobile route recording and collection point display and automatic frequency correction tables for detected signals and demodulated frequencies. RadioInspector is once again being used for educational study at a large cultural event in the U.S. that attracts tens of thousands of visitors. A monitoring infrastructure has been setup for use with RadioInspector to study wireless patterns, noise and interference during the event. RadioInspector’s latest software release is being utilized with its leading advanced performance signal parameter measurement, harmonic and intermodulation analysis, live IQ and complete spectrum data recording and post analysis capability. After months of set up and integration work, an overseas in-place remote spectrum monitoring project with RadioInspector has been completed. The project required monitoring multiple receivers across multiple locations in challenging environments. RadioInspector’s extensive receiver support, live direct control with streaming of all data to remote computers via internal application and simultaneous live monitoring of multiple collection points (receivers), all play key roles in providing highly flexible, advanced capabilities for remote monitoring applications. We are also very pleased to announce a much anticipated Canadian partner agreement and we welcome the addition of Al Doubrough to our RadioInspector product development and training team. Al is a highly experienced and respected TSCM Technologist and RadioInspector software operator. Al's experience includes more than 27 years with the Ontario Provincial Police where he had postings with Technical Support Services as a Wire Tapper and Electronic Tracking Court Recognized Expert. Al also worked as an Electronics Engineering Technologist for Transport Canada in Communications and Navigational Equipment. Waypoint Counter Surveillance has enjoyed a close working relationship with Al Doubrough on several fronts during the past 8 years which now extends to our development and training team. New extended reference trace features have been added to RadioInspector, allowing operators to merge (combine) multiple previously saved traces by their maximum values, for use as a single reference trace. Operators can also display an additional trace (loaded from a previously saved file) which can be used for visual control when merging multiple traces with the reference trace. If the frequency band limits or the frequency scan steps in the loaded or merge trace do not match with the current measurement settings, RadioInspector will interpolate the loaded trace. The operator can also choose to display the difference trace, which can represent either the current or maximum trace minus the reference trace. The operator can display the results as a positive difference or a 2D difference trace. In addition there is now an option to increase or decrease the dB level to offset the difference trace for improved visual analysis. The latest extended reference trace features can be used separately with the main spectrum scanning and analysis GUI, advanced RF signal analysis and performance measurement subsystem, or the discrete frequency inspection GUI for increased comparative analysis. 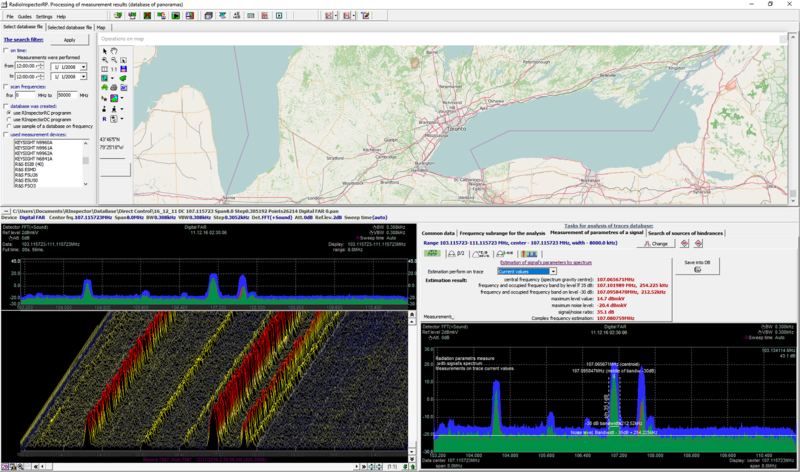 RadioInspector now provides the option to display operator defined spectrum masks, which are overlaid onto the spectrum scanning GUI. Spectrum mask files can be created as required for individual frequencies or frequency bands, with name and descriptive information and individually or collectively displayed during spectrum scanning and analysis operations. 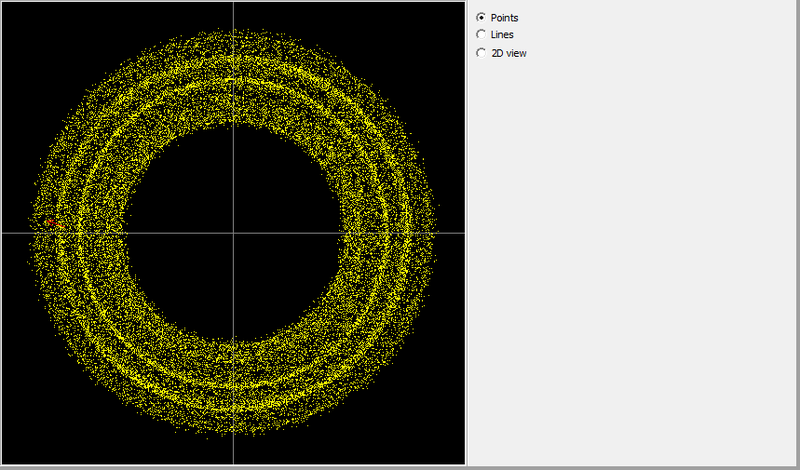 Spectrum masks can also be displayed during post analysis with the RadioInspector RP post processing program. Spectrum masks provide a static reference display of predetermined or known frequency spectrum allocations or specific standardized ranges. While this can assist with visual orientation of the spectrum and can help improve overall spectrum awareness, determining with any certainty, whether a signal belongs to a specific standard and is a potential threat, requires proper technical analysis. RadioInspector's extensive list of features including RF signal performance measurement, IQ data and digital signal processing with classification and recognition technology, offers sophisticated and precise signal analysis. The addition of user defined spectrum masks compliments this advanced technical capability. Note: Digital audio demodulators for DMR, Apco25 and Tetra signals are being finalized and along with audio demodulation and recording, information regarding the address of the receiver, transmitter and service commands will be recorded and displayed in the audio player mode. LEA-DER is an international exhibition and conference aimed at special security equipment and brings police and military, law enforcement and intelligence professionals together in a secure environment to showcase the latest available state-of-the-art technology for combating crime and terrorism. 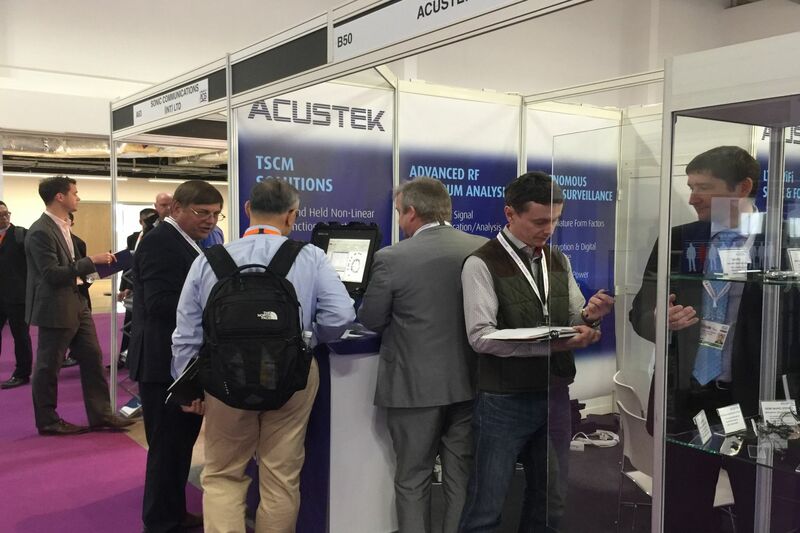 We were pleased to once again exhibit with European partners Acustek Ltd. and provide those in attendance with demonstrations of RadioInspector TSCM/SIGINT software and Wi-Fi Inspector with the Digital FAR system. The closed event served as a unique opportunity to meet with law enforcement and intelligence personnel to discuss topics surrounding RF spectrum analysis including mobile operations, geo-mapping, remote monitoring, distributed deployment and direction finding along with issues relating to congested signal environments and digital transmissions. New features, together with recent enhancements, emphasized RadioInspector's ongoing development and increasing advanced capability. Following the LEA-DER exhibition and conference in Prague, we traveled to Austria, Hungary and The Netherlands. RadioInspector’s IQ Process program has been modified to provide additional IQ data analysis capability. The program is designed for professionals who work with RF spectrum and signal data, recorded in the form of a quadrature (IQ) and compliments RadioInspector's live IQ analysis. Operators can select a bandwidth size for recording and display of IQ data, up to the digitized IF bandwidth of the receiver, with the ability to isolate and separate (cut out) individual signals from a wide recorded bandwidth. Operators can identify and analyze signals including those close to or obscured by the noise floor, or separate signals in dense portions of the spectrum or in close proximity. Advanced post processing includes performing a digital frequency shift or fine tuning the frequency measurement, digital filtering and re-sampling of source data at a desired frequency rate, decimating original IQ data to a predetermined sampling frequency and applying ‘Windowing’ techniques, providing operators with detailed results for analysis. The newly updated IQ Process Program now allows processing of recorded IQ data files of any length. The program provides the ability for skilled visual analysis of IQ data in the time and spectral fields and now includes a signal field display in the form of a scatter plot diagram in the complex plane (constellation diagram). 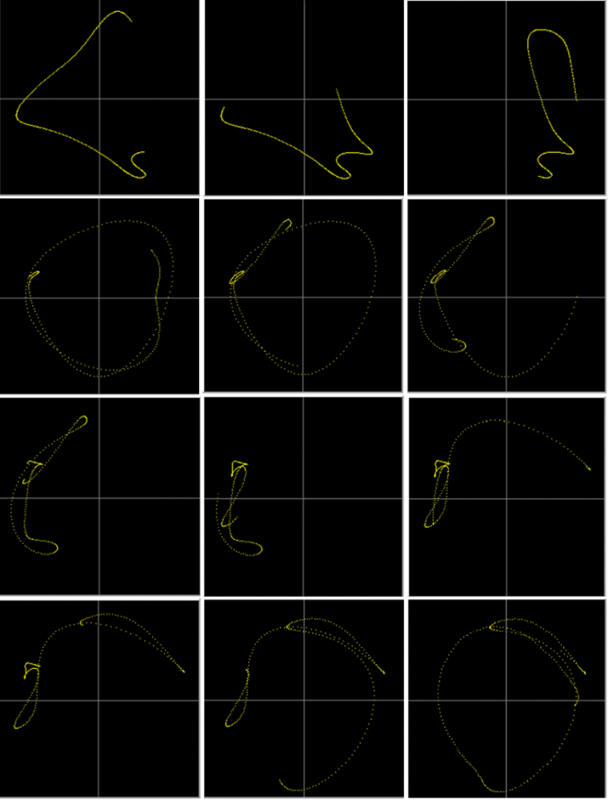 The program can display the movement of signal points and dynamics of the displacement signal in the complex domain from one signaling point to another. Specific upcoming receiver software updates will provide operators with the ability to record a continuous IQ data stream without recording time limitations. These latest enhancements provide an increased level of advanced technical signal analysis capability for government, law enforcement, civil and military intelligence applications. * IQ Process is designed as a stand-alone program and does not require RadioInspector to operate. The program can be downloaded independently on any computer anywhere in the world, along with saved IQ files created by any RadioInspector system, for information export and sharing as well as for additional post analysis. Milipol Asia-Pacific has achieved an enviable reputation and established itself as the premier “must-attend” international exhibition and conference focusing exclusively on Counter Terrorism, Internal State Security, Law Enforcement and Civil Defence in the Asia Pacific Region. The exhibition presents opportunities to share experience and expertise regarding the sophisticated threats currently facing Governments in the region, while showcasing the latest technology solutions in the defence and security environment. 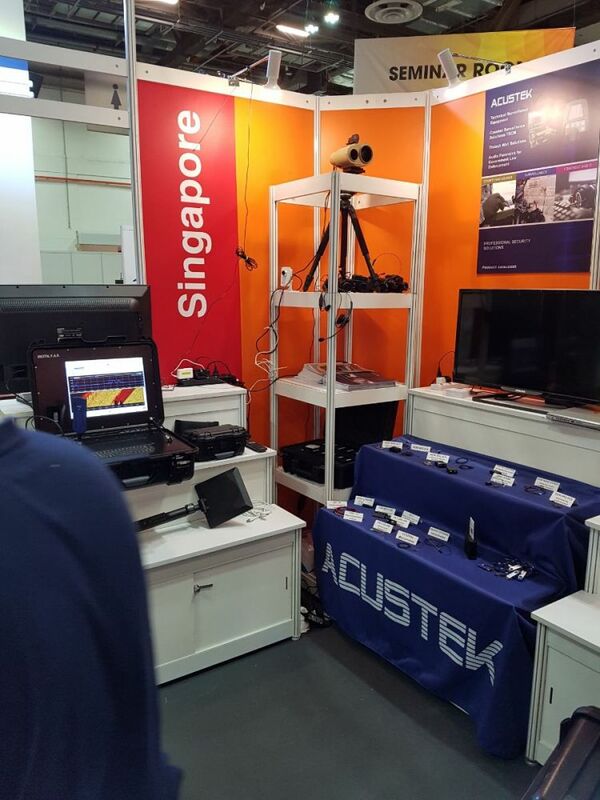 Together with Acustek Ltd. and regional partner Cornerstone, intelligence and TSCM related products were displayed for visitors, including the Digital FAR system with RF spectrum analysis software application RadioInspector and Wi-Fi Inspector. The extensive list of advanced capabilities were featured during the event, resulting in further online customer demonstrations now scheduled throughout the month of April. 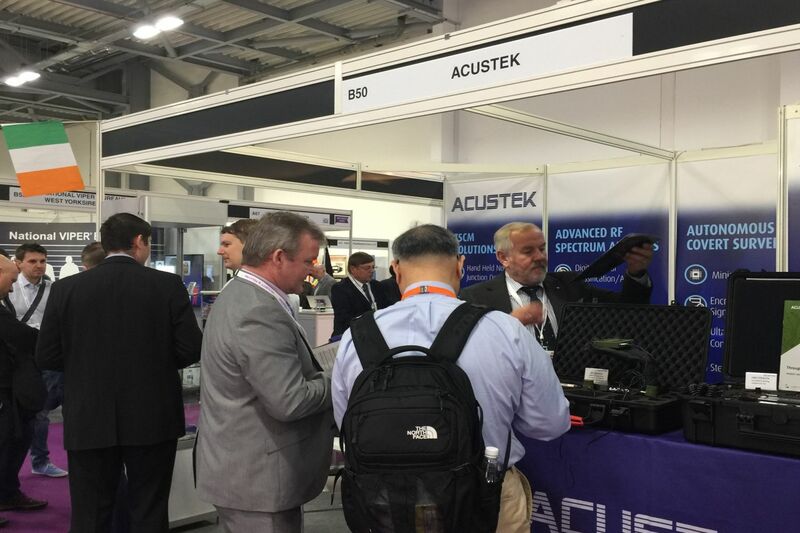 Security and Policing March 7 - 9, 2017 Farnborough International Exhibition and Conference Centre, Hampshire, U.K.
On our first of several trips overseas this year, Waypoint Counter Surveillance was pleased to have exhibited with European partners Acustek Ltd. at the Security and Policing 2017 exhibition. Security & Policing is the official U.K. Government global security event and provides a platform for professionals from the UK and across the world to engage with the very highest level of security expertise and the latest technology. It provides the level of industry engagement needed to enable the UK Government to procure and deliver its national security priorities. Demonstrations of RadioInspector TSCM/SIGINT software and Wi-Fi Inspector were provided with the Digital FAR system to members of government, intelligence and law enforcement organizations in attendance. Highlights included RadioInspector's latest advanced performance signal analysis, new Open Street Maps Geographic Information System and IQ recording with post processing. 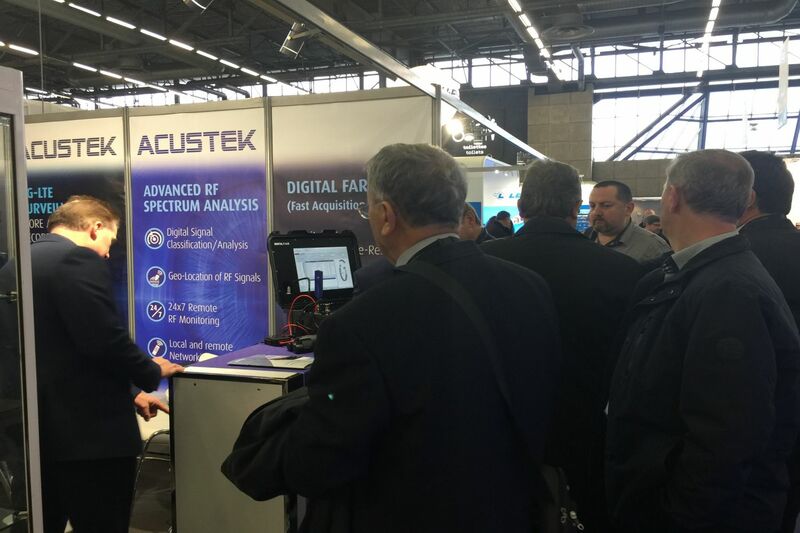 Information regarding the upcoming advanced amplitude direction finding capability also drew strong interest, with requests to provide on-site demonstrations. The latest intelligence related equipment including the new Under Door Viewer, Silent Drill and Stereophonic Stethoscope were also on display with demonstrations provided to those in attendence. Following Security and Policing, meetings were held in London for 2 days which included additional demonstrations of RadioInspector and Wi-Fi Inspector. RadioInspector has added a new Geographic Information Support System based on Open Street Maps. 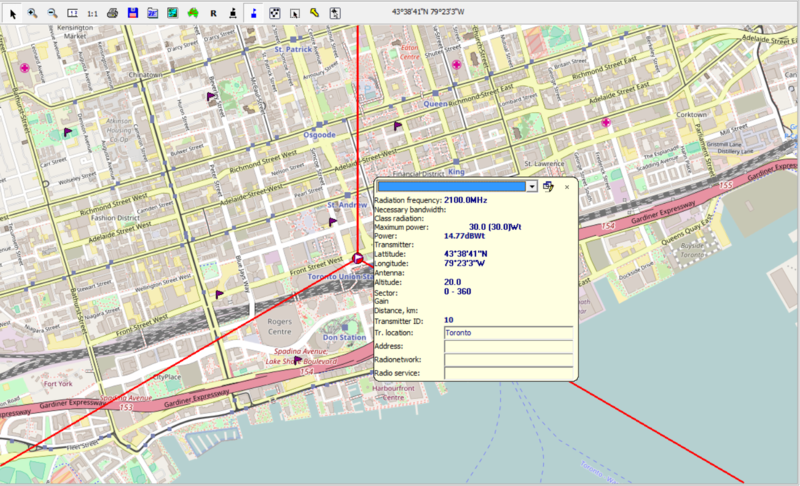 Operators can select Open Street Maps from the common settings window, which are free to use and accessible immediately from within the RadioInspector GUI. Once an area has been selected the maps are automatically cached, available for use in the field and do not require an internet connection during live data collection or post analysis. Operators using MapInfo can still select the MapInfo Geographic Information System for added flexibility depending on individual requirements. * When using a tablet computer during data collection and direction finding applications, RadioInspector also includes an option to increase the size of the geographic information system feature buttons, for improved visual identification and use. From the measuring set up window, operators can select the COM port for use with a GPS receiver and the baud rate. A visual representation of satellite positions is provided with accuracy data and current local as well as Greenwich date and time. A table shows which satellites are in use and a separate tab provides GPS NMEA data. Current coordinates are also shown along with altitude, velocity (if mobile) and azimuth measurements. 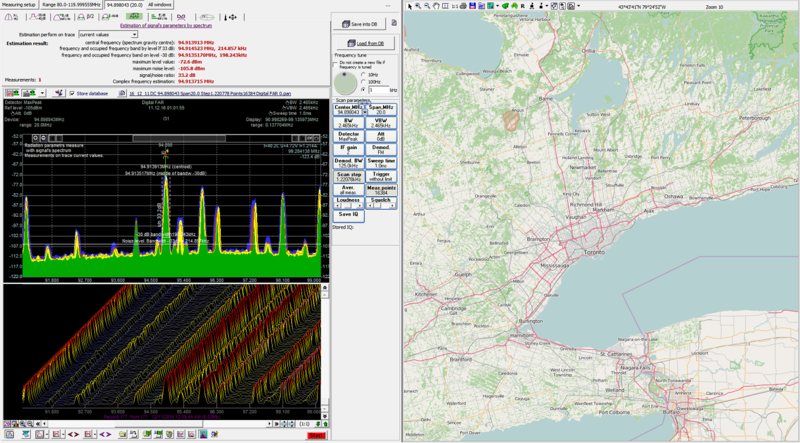 From the main spectrum scanning and analysis GUI the current data collection point can be shown with the associated coordinates. During mobile monitoring or drive by testing applications the traveled route can be displayed live on the map interface showing individual measurement points. Icons above the map display, provide access to a variety of additional functions including increasing or decreasing the map scale, calculating distances from selected target points, displaying amplitude bearing results, displaying transmitters from the authorized frequency database and selecting a measuring area within the map to be saved as a new file. Maps can also be printed, saved as a BMP file or to a Microsoft Word document. 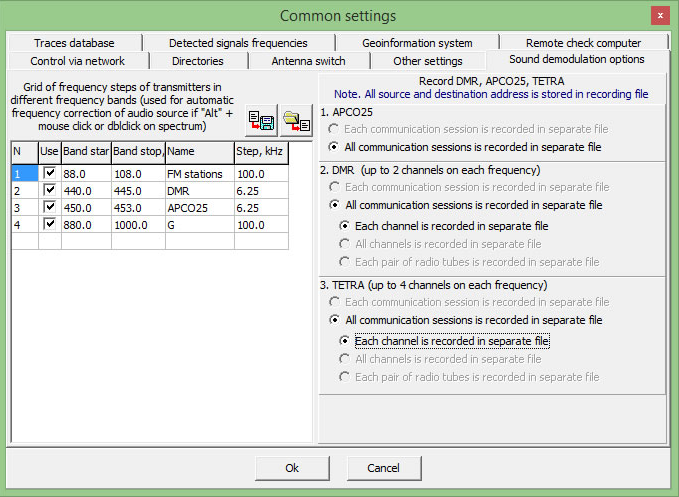 When displaying transmitters from the authorized frequency database directly onto the map, all transmitters in the database can be shown, or they can be filtered to show only those within the current frequency scanning range. Clicking on a transmitter displays associated measured or programmed data and all fields can be edited at any time. Operators can create any number of authorized databases which can include signals detected and recorded during spectrum scanning or programmed from available regional or international frequency databases. All geographic information system data is automatically saved and dynamically linked with spectrum data during the collection process and is available for post processing. All measurement parameters are related within the database supporting greater situational analysis capability for determining communication path quality and coverage areas or searching for interference sources and detecting unauthorized transmitters. All icon buttons and features available during data collection are available during post analysis along with the option to display the map in a separate floating window. During post analysis each measurement point can be colour coded based on up to 15 different operator determined thresholds for visual presentation on the map. Operators can also filter the visual display by removing selected threshold levels or merging measurement points within operator selected distances in meters, with results displayed by median, average, minimum or maximum values. Data collected can be displayed for each measurement point directly on the map as well as in the common data table and includes date and time, maximum signal level dB, longitude, latitude, altitude (meters), speed (km/h) and compass bearing information. * RadioInspector provides advanced, comprehensive industry leading radio frequency spectrum analysis, data recording, storage, post processing and data management capability for Technical Surveillance Countermeasures (TSCM), SIGINT, local and remote spectrum monitoring, surveillance, telecommunications and spectrum management applications. RadioInspector delivers powerful cost effective solutions while offering high performance, stability and efficiency, customized to specific individual requirements with sophisticated capabilities and functionality not available with other applications. RadioInspector supports the largest and continually expanding list of more than 145 receivers, spectrum analyzers and SDR instruments from leading professional manufacturers world-wide, providing customers with the greatest deployment flexibility and the widest variety of advanced solutions for both current and future requirements. 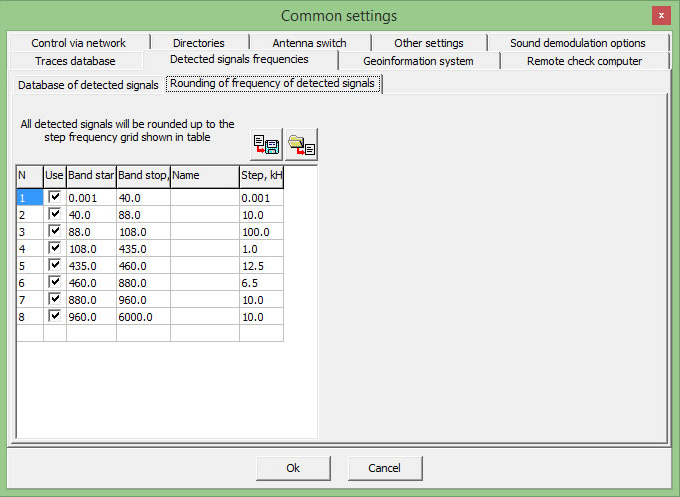 RadioInspector now includes automatic correction (rounding up) of detected signal frequencies and frequencies of signals for demodulation, as per operator programmed tables. In the list of detected signals (signals that exceed an operator determined threshold line) the signals are displayed with frequencies up to 1 Hz. This is useful when searching for illegal transmitters or interference (operating outside of the standard frequency step). However, a large number of neighbouring frequencies displaying a long number of digits after the decimal point decreases the visual presentation quality of the information provided to the operator. A similar situation occurs with a frequency receiver, the source of demodulated audio signals. Inaccurate tuning to the frequency of the detected signal (including the frequency shift, relative to the communication standard’s frequency step) leads to deterioration in the quality of signal demodulation. 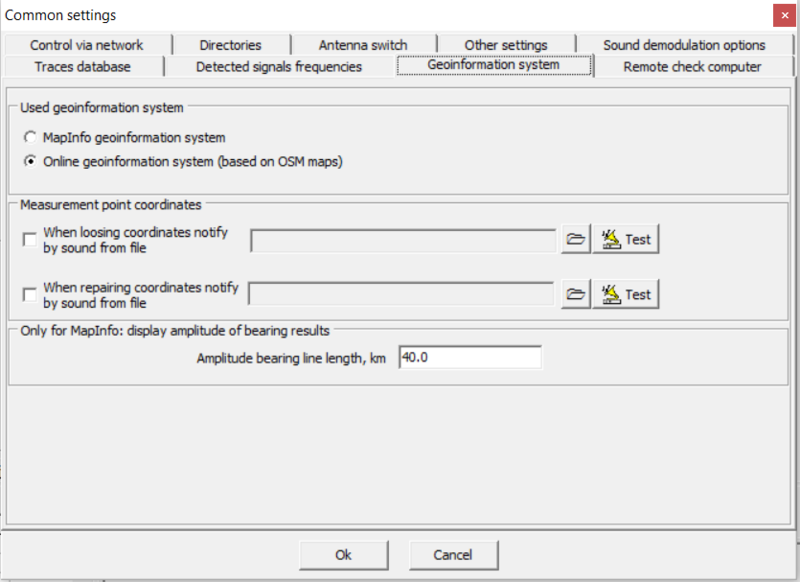 To address these situations in RadioInspectorRC and RadioInspectorRT programs, correction tables have been included for detected frequencies and tuning frequencies of the receiver (source of audio demodulation). Settings include start and stop frequencies, name of frequency or frequency band and step size in kHz. Once programmed, tables can be saved as individual files and uploaded for use at any time or shared and uploaded for use with any other RadioInspector system. The tables are located in the common settings window or can be opened by clicking on the button located above the list of detected frequencies and on the control panel of the receiver, which is the source of the demodulated audio signal. In addition, audio/voice demodulators have been added for DMR, APCO25 and TETRA communication standards (where encryption is disabled) with settings for recording and file storage options. RF spectrum analysis requirements are determined by many factors including complex operational environments and unique mission specific objectives. To meet the wide variety of increasingly demanding requirements, RadioInspector provides operators with an advanced RF signal analysis and performance measurement subsystem that includes a comprehensive suite of industry standard tools based upon an engineering and scientific approach. This advanced subsystem offers a higher level of analysis capability to perform precise and accurate technical signal parameter measurements required for professional SIGINT, COMINT, Spectrum Management, Telecom and TSCM applications as well as for wireless and cyber threat investigation and intelligence services. The advanced RF signal analysis and performance measurement capability is accessed from the main scanning window’s intuitive GUI. Here operators can perform RadioInspector's digital signal processing with live IQ data analysis including phase and amplitude information, filtering, decimation and Signal Classification Analysis and Recognition. The GUI also provides operators with the latest raw IQ data recording capability with sophisticated post processing and analysis. Both digital signal processing and performance measurement features can be run individually in separate windows, or together in a single GUI window for combined monitoring and analysis. 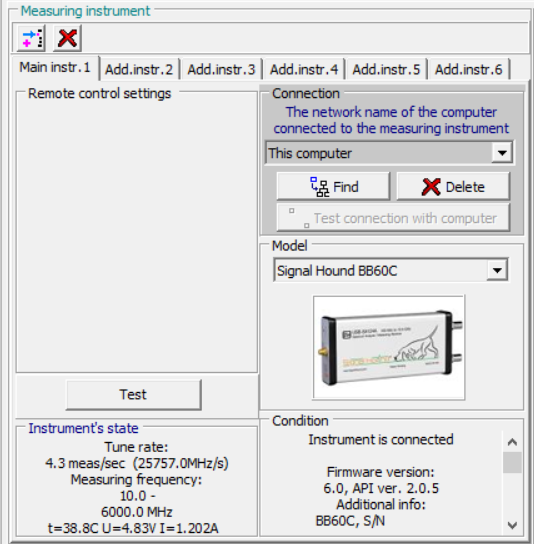 RadioInspector’s ‘Advanced Performance Measurement’ program option is activated with the click of a button and a tool bar is displayed providing a suite of applications enabling the measurement of multiple signal technical parameter characteristics, including critical ITU measurements (When operated in conjunction with a supported ITU compliant receiver). Operators can choose measurements in dBmKV(/m), dBm(/m), dBmV(/m), dBWt(/m), dBmKWt/cm2, dBWt/m2 and measurements can be performed on current trace values, maximum trace values and average trace values. RadioInspector's measurement calculator is also available at any time to perform instant measuring value conversions if required by the operator. One of the most common signal technical parameter measurements is the carrier frequency of a received signal. Frequency technical parameter analysis provides the precise signal frequency the receiver is tuned to and is the first step towards determining the nature of the signal, when the connected measuring instrument has a built in capacity to precisely measure frequency. Field Strength analysis includes the precise signal strength relative to background noise and the RF field strength parameters in relation to frequency, bandwidth and time. RF field strength measurements take many forms, depending on the signal being detected. The signal may be a simple continuous wave (CW) signal, a pulse or analog modulated signal, or a complex digitally modulated transmission such as an orthogonal frequency division multiplexing (OFDM) waveform. More complex RF field strength measurements include peak power, such as found in an RF pulse, and is expressed as the maximum value of field strength over a period of time. The measurement can be averaged across a time period, such as across a series of RF pulses. It can also be integrated over a frequency band, providing useful results for mobile communications. Digitally modulated signals tend to be noise-like in nature and it is often important to have the ability to measure average and peak field strength values. RadioInspector contains an accurate and effective application for calculating RF field strength power by using variable methods of statistical data processing for single or multiple data collection points. This also includes the capability to account for impedance and gain in the antenna system. RadioInspector’s RF field strength measurements are frequency and bandwidth selective, so unwanted signals are excluded from the desired measurement. 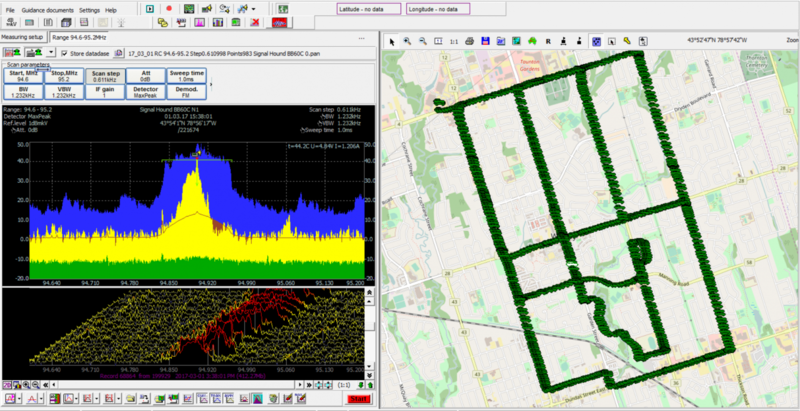 Other components of RadioInspector’s software can measure RF signal magnitude and phase, offering the potential for greater measurement accuracy. RadioInspector also offers fast measurement times ensuring that the operator does not need to trade-off accuracy and speed for a compromise solution. Understanding the type of RF field strength measurement, the accuracy required, and the capabilities of RadioInspector software and the associated instrument will greatly support the understanding of the operational environment. Licensed commercial communications signals are allocated a specific amount of frequency spectrum, often referred to as a “channel.” The channel is defined by a regulating body, such as the ITU. Spectrum enforcement and management, Cyber and TSCM operators are often concerned with two measurements with regard to determining if a valid signal is present within a licensed spectrum. One measurement is the integrated power across the assigned channel, often called the occupied bandwidth (OBW), power-in-band, or channel power. Here the power is integrated across the channel from the assigned start to the assigned stop frequency. 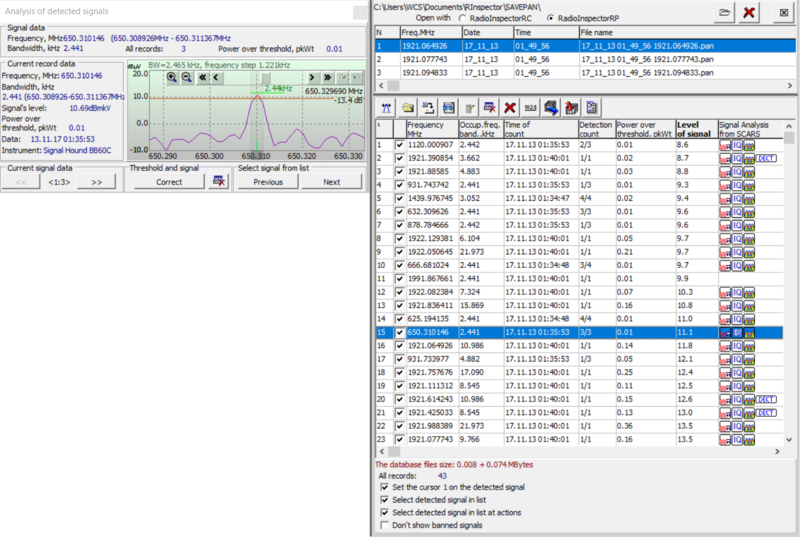 In RadioInspector, OBW can be calculated for the bandwidth containing from .01 to 99% of the total integrated power of the transmitted spectrum, centered on the assigned channel frequency. In addition to measuring the power in the channel, there is also a need to ensure that transmissions are not ‘spilling’ into channels assigned to other users. It may also be indicative of an illegal emitter such as a 'rogue' cellular base station. This test goes by many names, but it’s generically referred to as the adjacent channel power (ACP) measurement. The exact frequencies, integrated power specifications, and test methods are specified by the standards governing the transmission. Provides multiple bandwidth measurement results based on a variety of parameter settings and measurements to analyze interference issues, signals hiding within or close to other signals and issues impacting licensed spectrum allocation. Signal Parameter Estimation measures additional technical signal parameters of known or unknown signals or detected anomalies in relation to other signals in a band, the noise floor or other associated parameters. Central frequency estimation for complex signals is performed by analytical methods based on spectral density. Estimation is important when faced with analysis of unknown or unregistered signals. The precise repeatable technical measurement capability of RadioInspector is an invaluable spectrum intelligence and analysis feature. 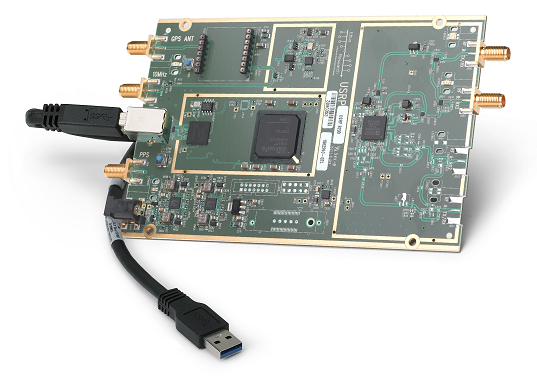 Supporting measurements include two important aspects that are fundamental to SIGINT, COMINT, and Spectrum Management. These are: location and height of the measuring antenna and the direction finding results (angular bearing) from the measuring antenna to the signal being measured (with the proper associated hardware). RadioInspector fulfills these measurement tasks critical to professional measuring systems and requirements. Digital television signal demodulation and analysis is currently in the development stage. The feature has been prepared for addition to the RF Signal Analysis and Performance Measurement subsystem. When a GPS receiver is utilized, operators can take advantage of integrated mapping support. Measurement results and a range of operational data can be plotted and displayed on a digital map. Maps files can be saved and recalled at any time for use during field deployment or post analysis. 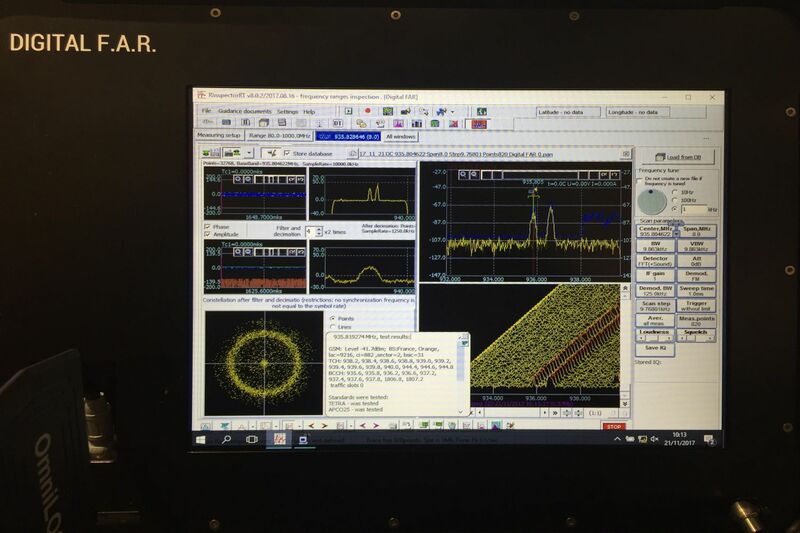 RadioInspector’s post processing program “RP”, contains the performance measurement sub-system and enables signal parameter estimation, occupied frequency bandwidth, field strength and additional frequency occupancy measurements during post analysis of saved sweep/scan files. All results and data from the performance measurement subsystem, along with all geographic support system mapping data, can be instantly saved into the measurement results section of RadioInspector’s advanced intelligence database and can be recalled at any time for further analysis. The signal analysis and performance measurement sub-system is well suited for building an accurate, detailed catalogue or database of signals or known transmitters with in-depth sophisticated digital processing and precise advanced technical parameter measurements.